Looking for a personal loan, but apprehensive about the high interest rates? It is important to understand and compare personal loan interest rates before you make the choice. Everyone wants to save money wherever they can. This fact is truer when you are taking a personal loan. Think about it. What’s the first thing that comes to your mind when you are about to take a personal loan? Personal loan interest rate, right? You want the best personal loan interest rate so that you can save some money. Well, you’re not alone. Everybody taking a personal loan want to squeeze the most out of their loan by paying as low personal loan interest rate as possible. Which bank is the best for a personal loan? Going purely by the interest rates, Yes Bank is currently offering the lowest interest rate of 10.75%. Apart from this HDFC, RBL Bank, Tata Capital, IIFL, Citibank are the best banks to get a personal loan from. These banks offer interest in the range of 10.99-16% and the money is disbursed within 1-2 days. What do you understand by personal loan interest rate? Simply put, the personal loan interest rate is the percentage of your loan balance that you need to pay in addition to the amount you borrowed. Personal loan lenders charge you interest with each scheduled repayment. Therefore, you monthly repayment is divided into two parts: an interest payment and a repayment on your balance. The interest amount decreases as your loan balance gets lower. So, what exactly is the best personal loan interest rate? The amount you pay every year to repay your loan depends upon the Annual Percentage Rate (APR). So, what’s an Annual Percentage Rate? APR is the amount of interest on your total loan amount that you’ll pay annually. The lower the APR, the better for you. So, the best personal interest rate for you will be the one where the APR is the lowest. Read on for more information about personal loan interest rate to help you figure out the best personal loan interest rate. There are 2 types of interest rates for personal loans – a fixed interest rate loan and floating interest rate loan. Fixed personal loan interest rate as the name suggests is fixed for the entire term of the loan. The advantage with fixed interest rate is that you can plan your personal finances and not worry about the interest rate fluctuations in the market. However, in floating personal loan interest rate, the rate can change anytime. Change in the interest rate can occur due to various factors and they are governed by the policy rate declared by the government. In this type of loan, the tenure of the loan is fixed, but the interest rate can increase or decrease, which invariably increases or decreases your EMIs. The advantage with floating rate is that it is cheaper than fixed rate loan by 2 to 3%, thus saving a lot of money when the rates go low. What factors affect personal loan interest rates? 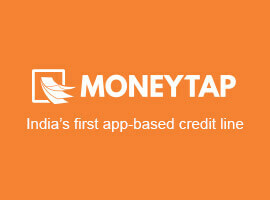 MoneyTap’s Personal Loan is the simplest way to get a personal loan. It doesn’t follow the traditional loan procedure. You have the flexibility of accessing the loan at anytime and from anywhere through your personal line of credit. Best of all, it has the best personal loan rates and you pay interest only on the amount you use. Interest rate starts from as low as 1.08% per month (13% pa). Interest is charged only on the amount used. If no amount used, no interest charged.